OTON GLASS, a device that reads the text that enters your field of vision and winner of two YAMAHA Awards, took home the grand prize at the 2016 YouFab Global Creative Awards. OTON GLASS is the brain child of Keisuke Shimakage, the team’s representative, who wanted to create a tool that could support a family member with alexia. 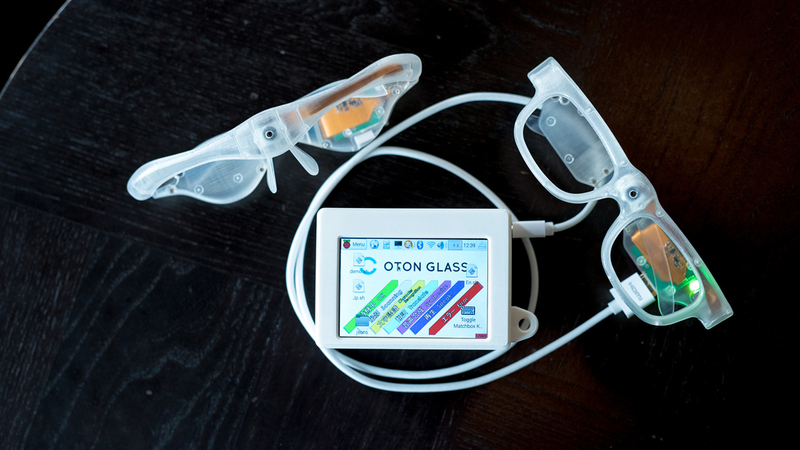 However, the team discovered that rather than simply solving one problem, OTON GLASS had the potential to spur the creation of other new products. 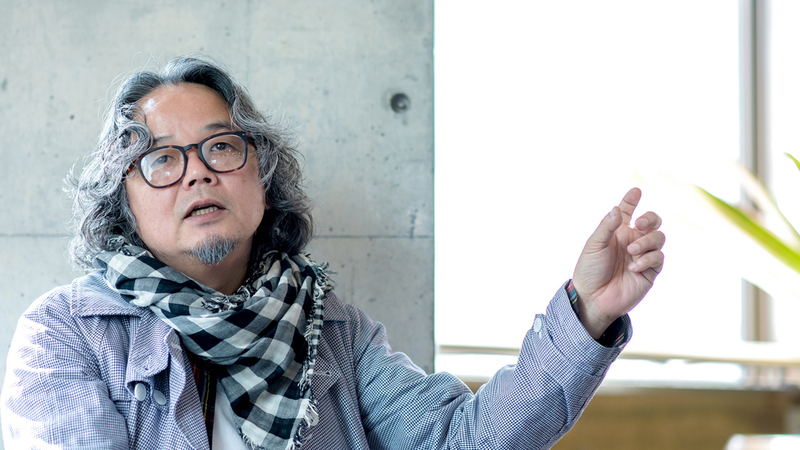 In this interview, Shimakage talks with YouFab’s chairman, Toshiya Fukuda about OTON GLASS’ possibilities and Fab’s guiding principles. It started with a problem faced by his own father. A solution for one man, which grew into the potential to support human cognition for many. Fukuda: You created OTON GLASS when your father developed alexia. I hear he’s since fully recovered, could you tell us how he regained his reading ability? Shimakage: My father’s alexia was caused by an injury to the area of his brain responsible for language processing. Because of that, he lost his ability to connect symbols like letters to the dictionary of definitions for them he had in his head. After the injury, he spent about three or four years undergoing rehabilitation with a speech-language-hearing therapist, and recovered the ability to read. So, my father had the good fortune to no longer need OTON GLASS, but as we were in development, I met a lot of people who had congenital difficulties or other developmental disabilities, known as dyslexia that made reading difficult for them. We’re now focused on moving forward and developing this product for those people. Through my research into dyslexia, I learned that when people read something, they take in visual information in the form of letters, and convert it to auditory information inside their brain, which then parses the meaning of the words. For people with dyslexia, the general theory is that a problem occurs when their brain tries to convert the letters to sounds, which results in mistakes when reading, or needing to take significant amounts of time to read something. What sparked the idea for OTON GLASS was realizing what situations gave my father trouble. When he was filling out a survey at the hospital, he would turn to the doctor beside him to ask “What’s written here?” as he completed the form. At the time, I thought, why not make a device that can be a surrogate reader? I also think that such a device would be valuable to people with vision problems that can’t be corrected by glasses, and, if machine translation capabilities are added to the language processing, people travelling overseas. Fukuda: I can see a lot of future possibilities for OTON GLASS, if you think of it as a way of supporting human cognition. In addition to basic features like the glasses reading the letters in front of you, repeating them out loud, even playing them back after translating the meaning, they could also support language comprehension in people with alexia. Perhaps it could also have implications for neurology. Also, finding angel investors you can talk to on an equal footing about OTON GLASS’ potential is going to be very important going forward, wouldn’t you say? Shimakage: Yes, that’s correct. 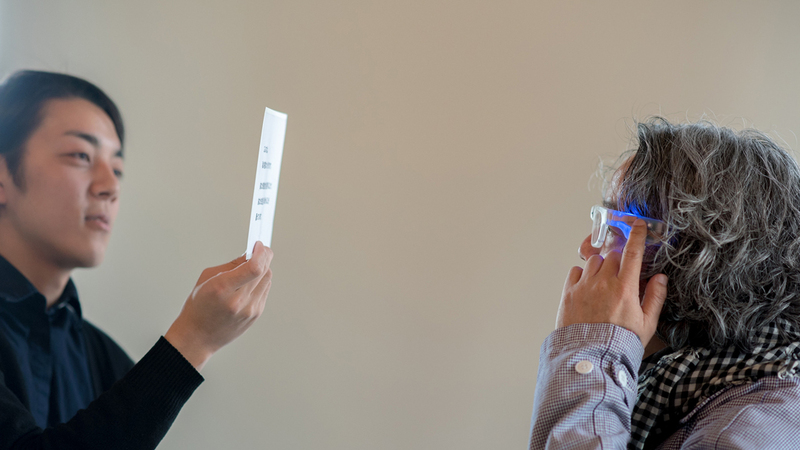 I’m so glad we could connect with partners who felt the same way as we did about the possibilities of expanding reading ability through OTON GLASS acting as a surrogate for human cognition. The three fundamental technologies that OTON GLASS uses are text recognition, machine translation, and speech synthesis. Each one of those technologies has its own history. Our goal was to bring them together, and conduct R&D for hardware that could stick close to the human body, and an interface that would stick close to the human thought process, turning those basic pieces of technology into something that could be experienced. OTON GLASS sprung up grassroots-style, like jomon pottery. Fukuda: By the way, what made you decide to enter the YouFab competition? 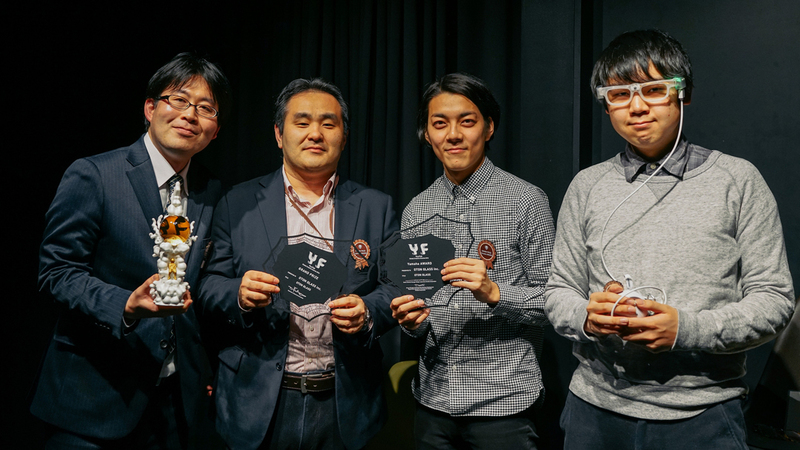 Shimakage: I thought that YouFab stands out as a pretty radical award, even among other competitions that judge works created through media arts or digital fabrication. It had a unique frame for evaluation that set it apart from more traditional awards, and they tended to recognize some interesting things that other awards didn’t pick up on. 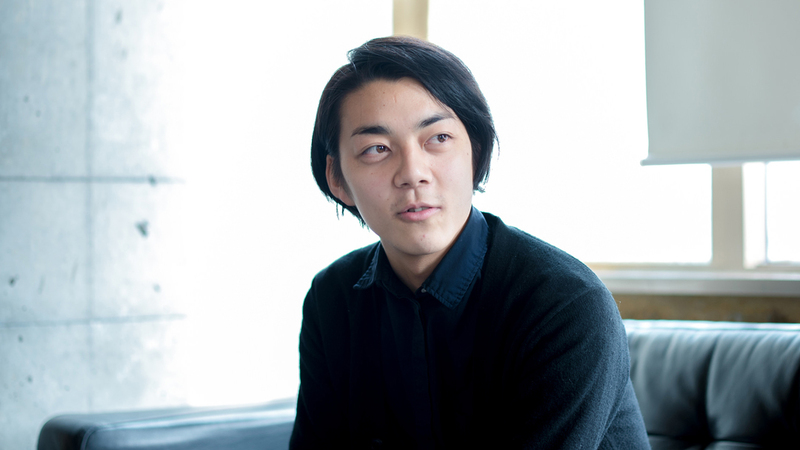 Fukuda: I think it’s less that we set out to create that unique way of evaluating works, and more that the way FabCafe was created just encourages that kind of atmosphere. One of the interesting things about FabCafe is that there’s not really a set theory or guiding concept. Even the award itself could have just developed through the natural reactions to seeing something and thinking, “Well, that’s interesting,” and just carrying on from there. Shimakage: I think there are a lot of different ways you could look at OTON GLASS if you were to evaluate it. For example, you could look at it like a device to help increase human welfare, or as a hardware startup. From the perspective of YouFab, I think you can see OTON GLASS as a kind of jomon pottery for our modern age. So, for jomon pottery, there would have been someone who had some clay and some rope and just decided to use those things to start crafting pots. Back then, it was a grassroots thing, something that just sprung up from the lifestyle of the era and the democratization of technology. OTON GLASS is the same kind of thing. We were just some people who had Raspberry Pi and some APIs, and we just decided to use them to make something, once we realized there was a problem that needed solving. And I thought, YouFab would probably recognize that kind of wild creativity, so I decided to apply for the award. Fukuda: I think what you said just now really gets to the core of what fabrication is. Just because you had this strong desire, this feeling that “This is what I want to do!”, and access to Raspberry Pi and the right APIs, you were able to take those technologies and pull them together in an integrated way. It’s saying that, if you’ve got the will to put something together, then here are the materials you can use to do it. I think that’s what YouFab is looking for in their winners, and what FabCafe set out to do. Fab is bringing people together through the things they want to create. Shimakage: I think those things, the will to do something and the materials to do it with have that kind of symbiotic relationship. The materials help support turning that will into reality, and at the same time, the act of giving an actual shape to that will can broaden your imagination. Right now, at FabCafe, they’ve got leather cutters available, like any other normal tool, and I think that’s amazing… because in the past, you would only really find leather cutters in the depths of some university or company workroom. And now, just like that, you can pay 800 yen, help yourself to a cup of tea and use a leather cutter. I think someone’s level of creativity can be completely different, just based on whether they have access to an environment like that or not. Shimakage: For OTON GLASS, I approached a lot of people, saying “Let’s make this together,” and it’s really because of them that OTON GLASS is a reality. Including myself, the CEO and our two CTOs, there are about 20 main members with day jobs who have been generous enough to joined on as a side project. As I moved forward, putting forward a vision, gathering a team to help, and working to create this together, even more interested people began to appear. I really think Fab’s strength lies in bringing people together through the things we want to create.